This week’s i ♥ faces photo challenge theme is: “hilarious outtakes.” One photo immediately came to mind (even thought I could have submitted five). You see, I just got my DSLR right before Thanksgiving with the intention of take pictures of our family during the holidays…and then really learning how to use it. To be honest, I didn’t know what I was doing, but our nieces and nephews love to have their picture taken. 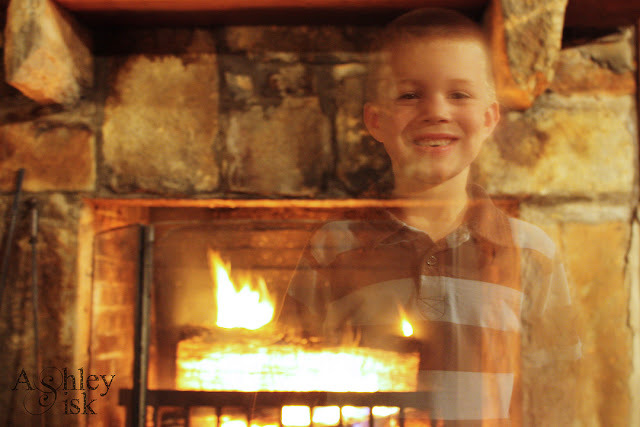 One of the boys ran in front of the fireplace and I snapped the shot. Cute smile, blazing fire…but he looks like a ghost. Now, off to i ♥ faces to check out the other entries.